Comedy queen Su Pollard (Hi-de-Hi!, You Rang, M’Lord) and comedy duo Cannon and Ball team up for an all-out outrageous side splitting romp. Ha Ha Hood! And The Prince of Leaves is the latest laugh-out-loud production from the Ha Ha! team who had us rolling in the aisles with Ha Ha Holmes!, Ha Ha Hitler! and Ha Ha Hamlet!. 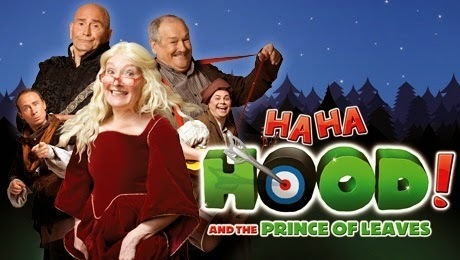 Following the hugely successful UK tour of Ha Ha Holmes!, the irreverent and hilarious Ha Ha Hood! Prince of Leaves is a deliciously twisted take on the tale of Robin Hood and rides into the Theatre Royal Glasgow this autumn.